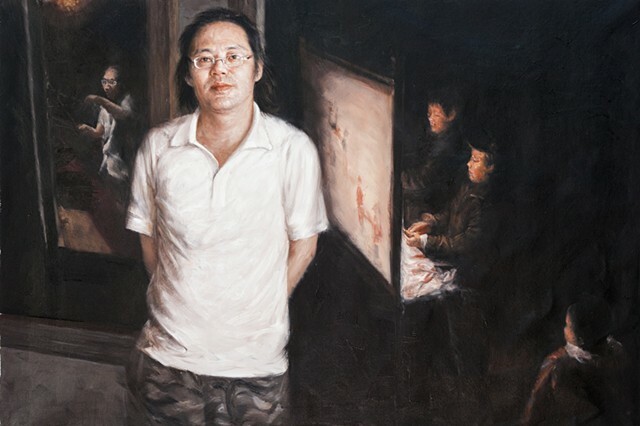 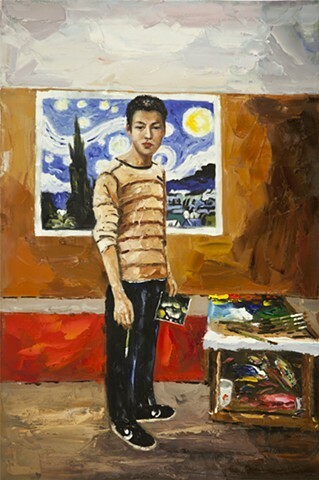 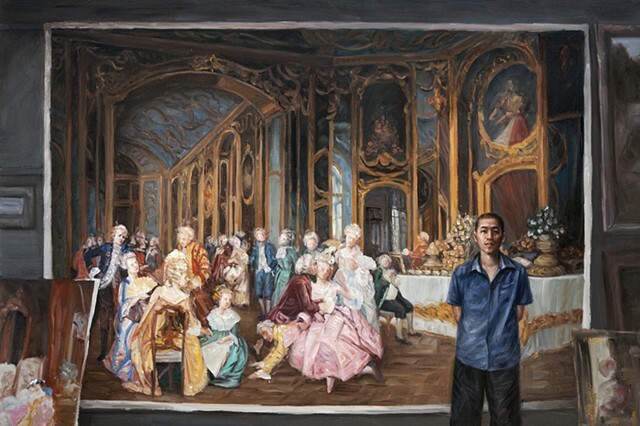 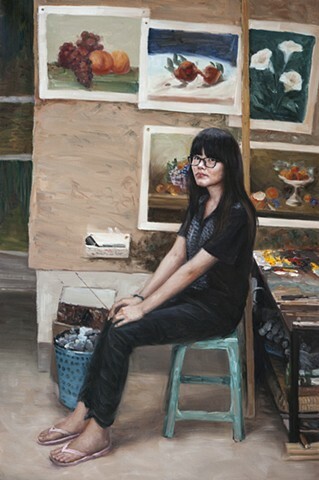 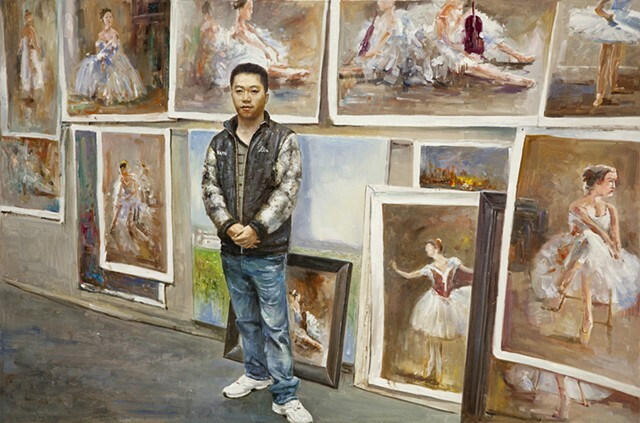 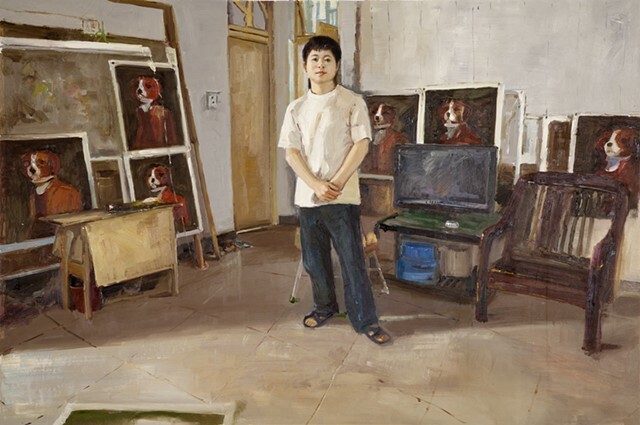 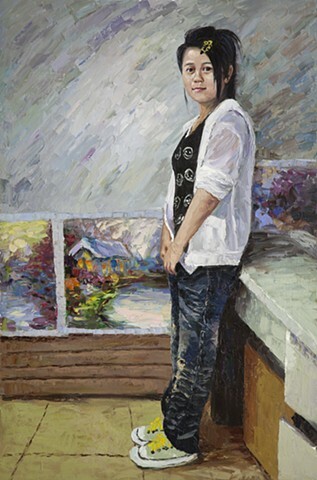 This work addresses the cultural convergence of Western ideas about the value of art and the mass production of Chinese oil paintings that reproduce the work of, or mimic the style of, European masters and render snapshots emailed as digital files. 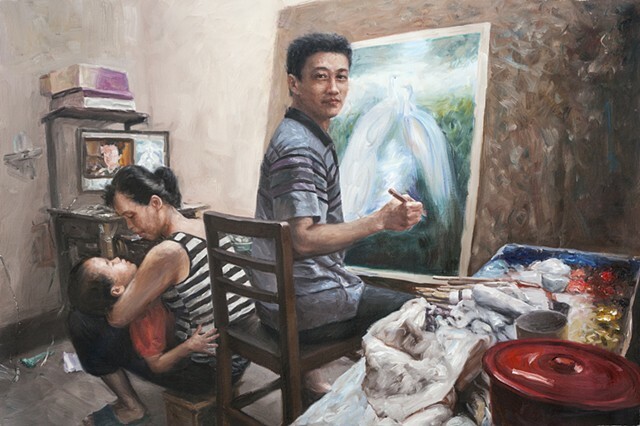 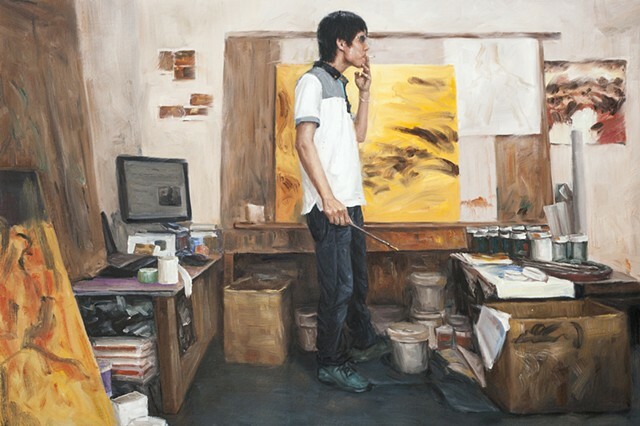 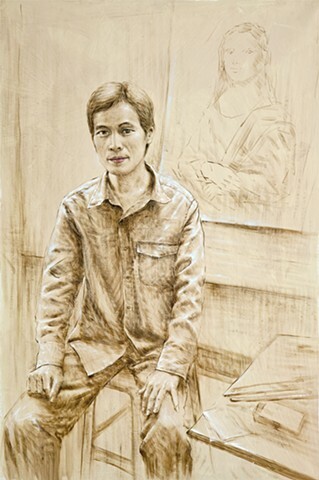 Rather than printing my photographic portraits of the painters to photo paper, I commissioned oil paintings so that the painter replaces the printer. 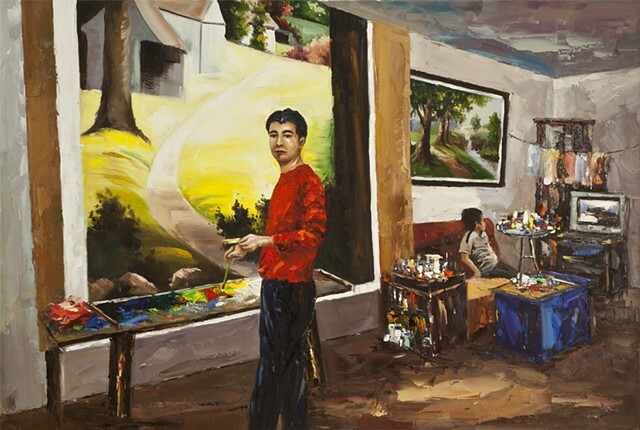 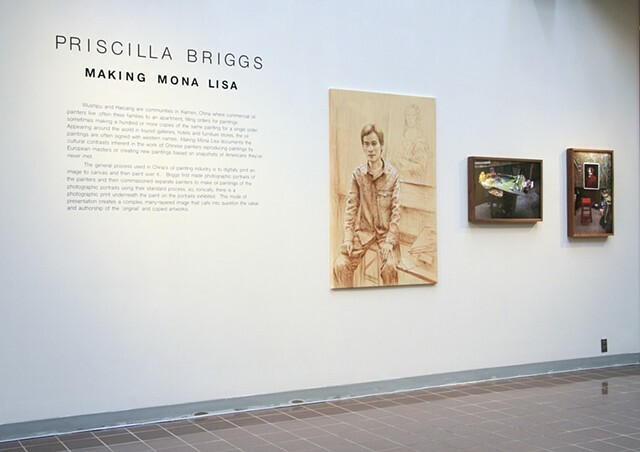 This mode of production calls into question the use of the artist as manual laborer, as well as the value and authorship of the “original” and copied artworks, by creating a complex, many-layered image. 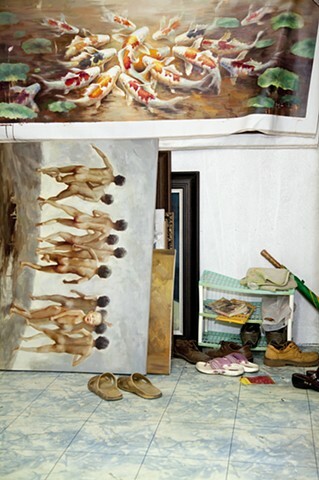 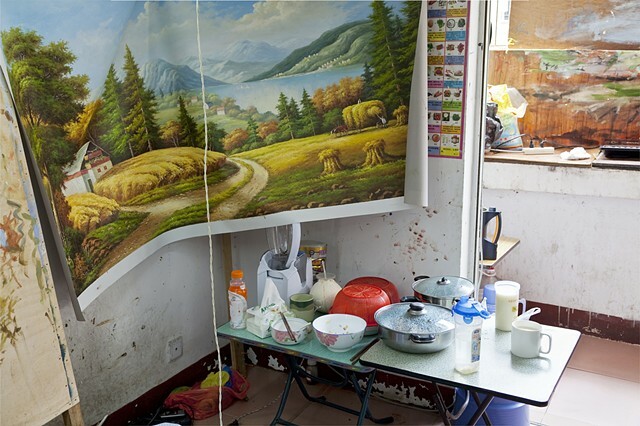 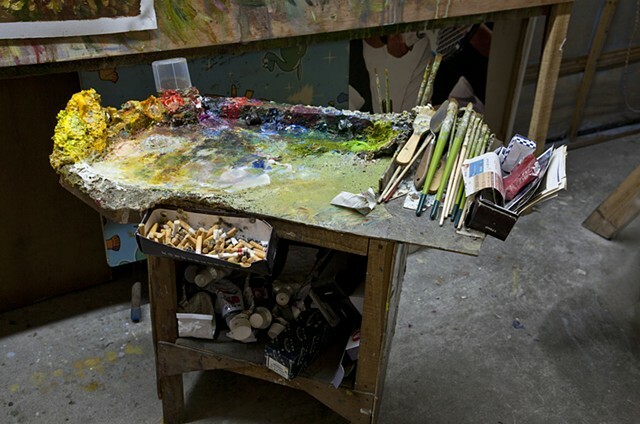 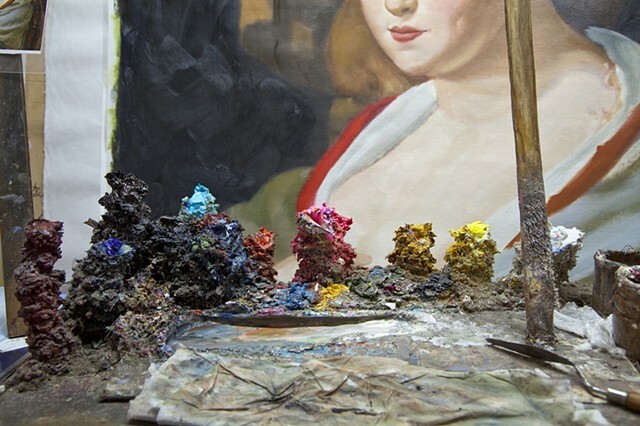 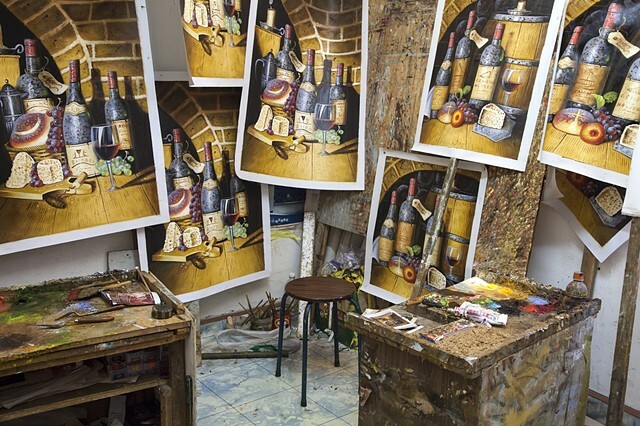 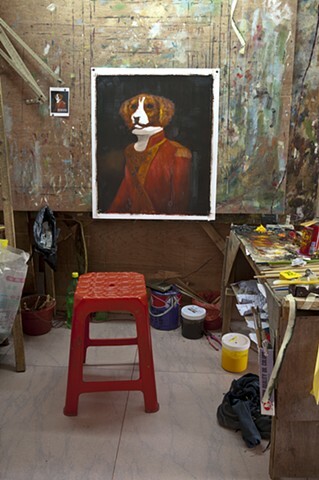 Contrastingly, the still life photographic prints of the painters’ live/work spaces include imagery of paintings and/or painting tools so the materiality of the industry becomes the subject of the still life.